Yellow house no 7, Near Polytechnic college, Ahmedabad. For enquires call on 079 40192281. 2018-11-24 18:00:00 2018-11-24 20:00:00 Asia/Kolkata Single, Not Despo! An evening on Dirty Minds. A participatory gathering, everyone gets to say their stuff. We will encourage. 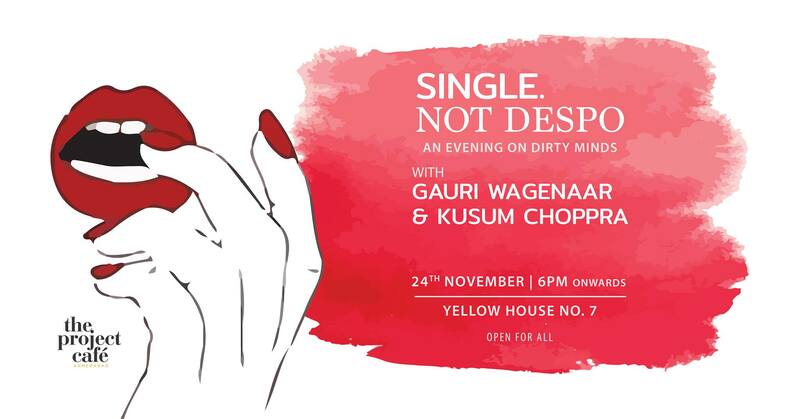 Author Kusum Choppra and Aunty Acid Gauri Wagenaar bringing out the hush hush fantasies of women. Age no bar, status no bar in Ahmedabad where there is no bar.